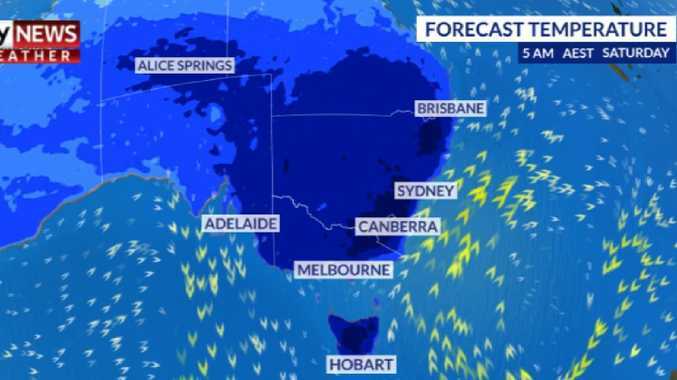 VAST parts of Australia woke up to the coldest day of the year, with the temperature dropping to just 1.2C in Sydney. Sydney had its coldest morning of the year with Sydney Olympic Park a frosty 1.2C at 6.30am, while Brisbane dropped to 5.2C for its coldest morning too. Spare a thought for Glen Innes residents where it dropped to minus 9C for its coldest morning in four years. And Cessnock in NSW dropped to minus 4C - it's coldest morning in 16 years. Most of the cold weather is affecting eastern NSW and southeast Queensland. It is set to reach 18C in Sydney today, with Brisbane to get to 21C. Canberra will be 11C, Adelaide 17C, Perth 18C, Hobart 12C and Melbourne 13C. Queensland will once again shiver through a cold and frosty morning as a cold snap continues to grip the state's southern half. Overnight temperatures are expected to remain well below July averages for the second night in a row after a chilly start to Saturday. Snowy conditions at Mt Baw Baw earlier this week. 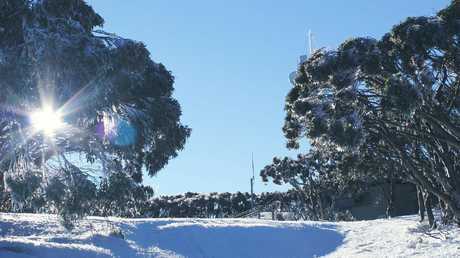 Forecasters are predicting areas such as the Granite Belt and Darling Downs will once again be up to five or six degrees Celsius below zero. Wellcamp Airport, just west of Toowoomba, posted the lowest temperature of the day on Saturday with minus 6.4C at 6.42am. Nearby Oakey recorded a low of minus 6.3C just before 7am. The cold weather pushed well up into Queensland with the outback town of Blackall dropping to 1.2C while Lochington, near Emerald, was just 0.5C at 7.11am. Even Rockhampton, up on the state's central coast, dropped to a low of 6.5C just before 7am. Brisbane is once again expected to have temperatures around six degrees on Sunday morning with forecasters expecting conditions to remain below average until Tuesday or Wednesday. "We're definitely not through the cold snap as yet, you couldn't say that," Bureau of Meteorology senior forecaster Jonti Hall told AAP. 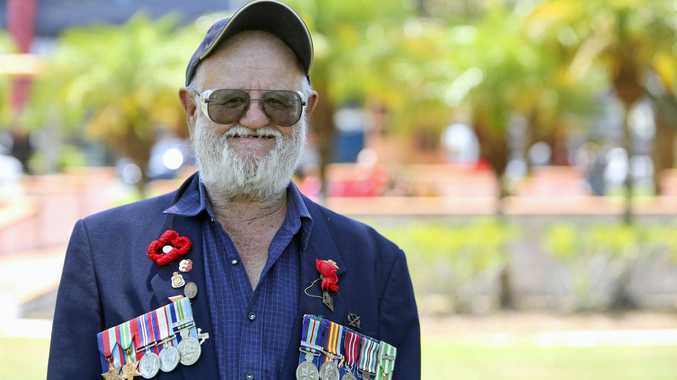 "It'll gradually get a bit milder through the overnight period - particularly over most of eastern Queensland - from Tuesday, Wednesday, next week." Daytime temperatures are once again expected to be stable around 20C throughout the southeast. Brisbane and other southeast coastal areas will also be hit by king tides on Sunday evening. A forecast peak of 2.74m was expected on Saturday night at 10.52pm in Brisbane with a slightly lower peak forecast for Sunday night at 2.68m. Brisbane City Council is warning minor localised flooding could be experienced in bayside, riverside and low-lying nearby suburbs. Council is warning residents in those areas to avoid parking their cars on the street during the high tides. There is also an icy cold commute to look forward to on Monday. Sky News Weather meteorologist Rob Sharpe said now was the time to pull out that really big woolly scarf your nan knitted you which you shoved, unceremoniously, to the back of the wardrobe. "It's going to be the longest run of cold mornings we've seen this winter." Just about the whole of central and eastern Australia should get ready for mitten weather and frost on car windscreens, he told news.com.au. "The widespread cold mornings are due to a strong low pressure system as well as a cold and dry air mass that's leading to crisp and frosty nights and mornings from Friday until Monday." When the sun goes down below the horizon is when the cold will really make its presence felt, the relatively clear skies letting the day's heat quickly escape. In some areas, the chill has already been felt. A bracing Ballarat was warmer at 4.30am on Wednesday, when it hit 4.5C, than it was at 4.30pm the same day when it could only manage 3.8C. "Ballarat had its coldest July day in 24 years on Wednesday and with a max of 6.9C, Bendigo had its coldest day in 22 years," Mr Sharpe said. Records will fall in the capitals too, he predicted. Sydney's average CBD minimum in July is 8C; this winter has already seen a low of 6.3C but on Saturday and Sunday morning it could sink further to just 5C. Head just a few kilometres west and the suburb of Penrith, which has already seen just 1.5C this year, could see -1C on both mornings. 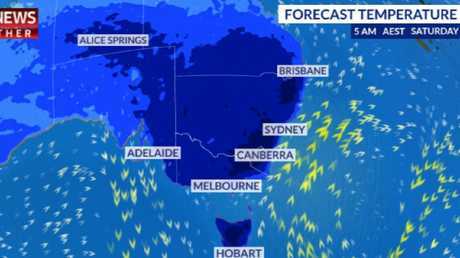 "We'll see the coldest temperatures so far this winter over the next few mornings over much of eastern NSW."